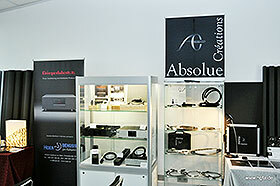 During the international Show High-End 2011 in Munich, 19-22 May 2011, newest products of GigaWatt were exhibited. 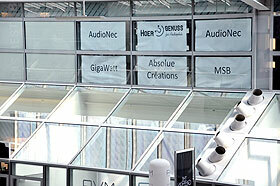 The company Hoergenuss – the exclusive distributor of GigaWatt in Germany and Austria – presented the newest power accessories in room E222, on the Atrium 4 – 2nd Floor. 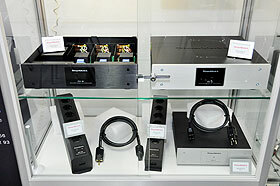 The presented system – powered by the Power Conditioner GigaWatt PC-3 SE – was composed of the following devices: the active loudspeakers AudioNec Answer, music server AudioNec SDV3-S, signal cabling Absolue Creations TIM-Reference and Audiav Crystal and Zirconia racks. 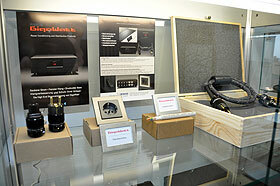 The fantastic sound of this set was enthusiastically appreciated by the people visiting the show, who told about it: “Gigantic, leaving nothing to be desired!”, “Congratulations, it is like I would be visiting a concert hall!”. 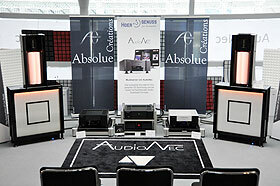 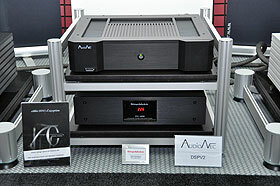 In the opinion of the listeners and audio magazines it was one of the best sounding systems during the show, and it was awarded the “BEST SOUND OF THE SHOW 2011”.